lola's secret beauty blog: Lola's Secret Beauty Blog Turns 5 Years Old! 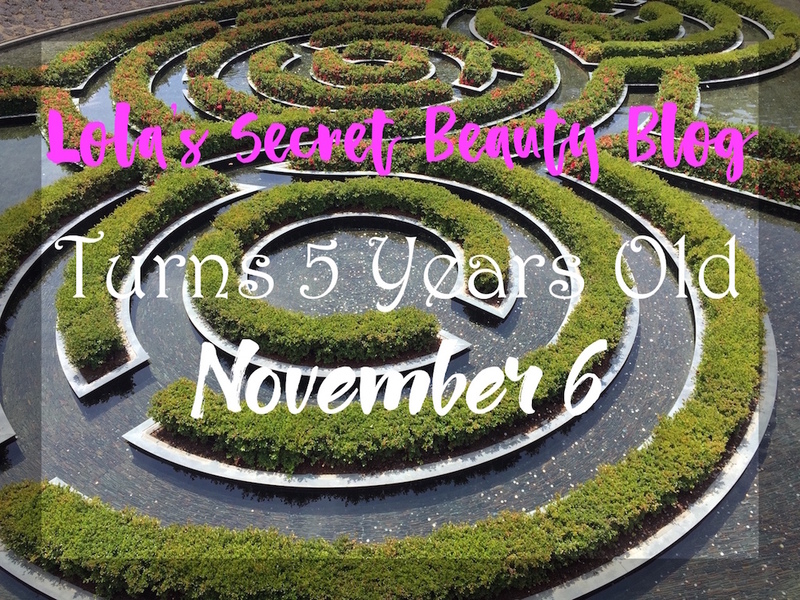 Lola's Secret Beauty Blog Turns 5 Years Old! It's hard to believe that today is Lola's Secret Beauty Blog's 5th birthday! Five years ago today, I sat at my computer and penned my first review for LSBB, and every single day since I have published at least one post. Thank you so much, Iris! Congratulations! Think of all the good you have done for the economy over the past five years. Happy blogiversary! Congrats on 5 years. Congratulations on 5 years! I have found your blog to be such a delight and a great resource. And as a fellow art historian (classical), I am amazed that you manage to put out great content here on top of everything else.